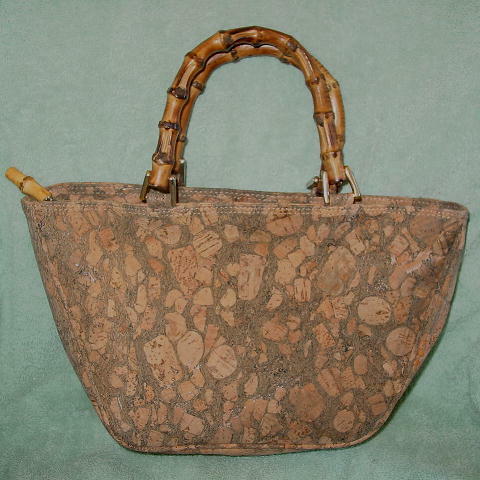 This vintage faux cork purse has a top side to side zipper closure with a little faux bamboo pull. It has two 12" faux bamboo handles attached to the purse by (tarnished) gold-tone metal bars. The nice interior black synthetic lining has a tone-on-tone line and David Dart logo design pattern.